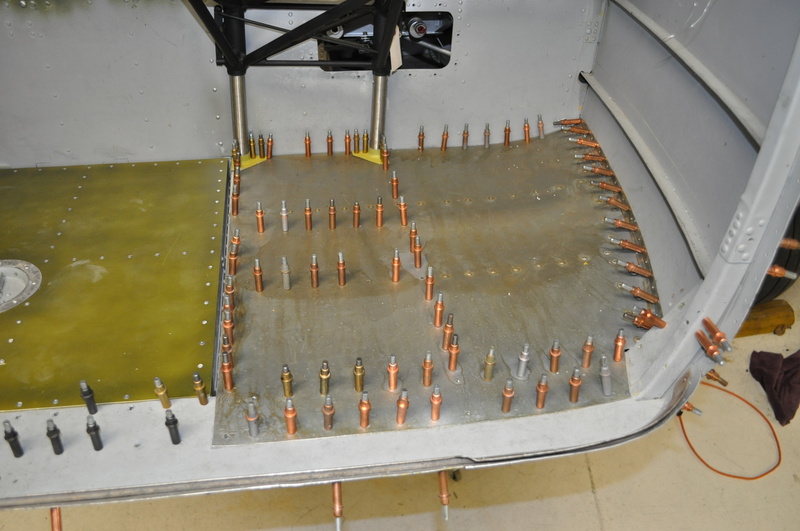 This report has been prepared starting from the rear of the aircraft and moving forward. 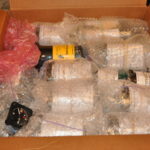 Items previously reported have not been included if there was no new activity concerning the part or location. 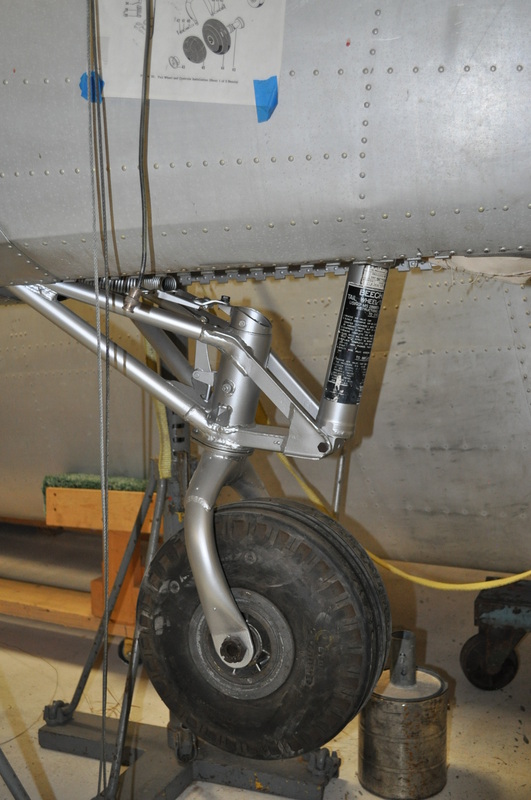 The tail wheel assembly has been completely rebuilt and is installed. 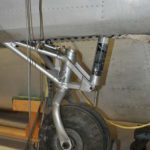 The interior canvas is partially installed. 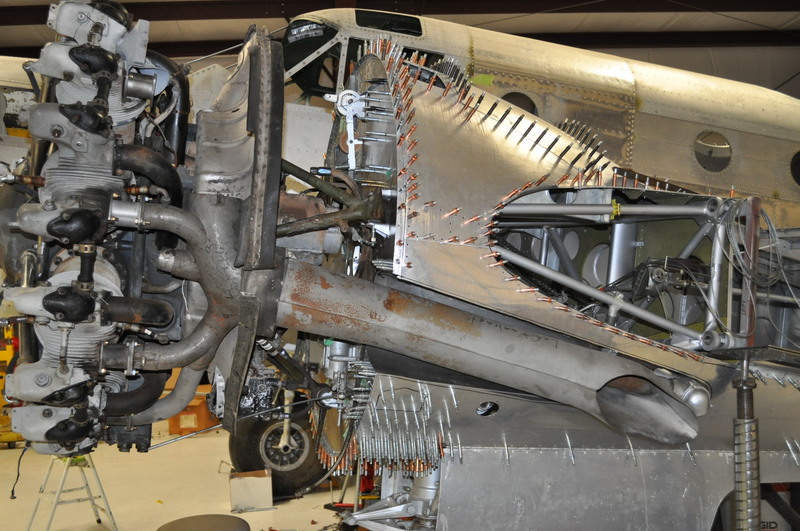 The tail wheel has been converted to use the stronger C-45 yoke and will not be retractable for safety of flight issues. 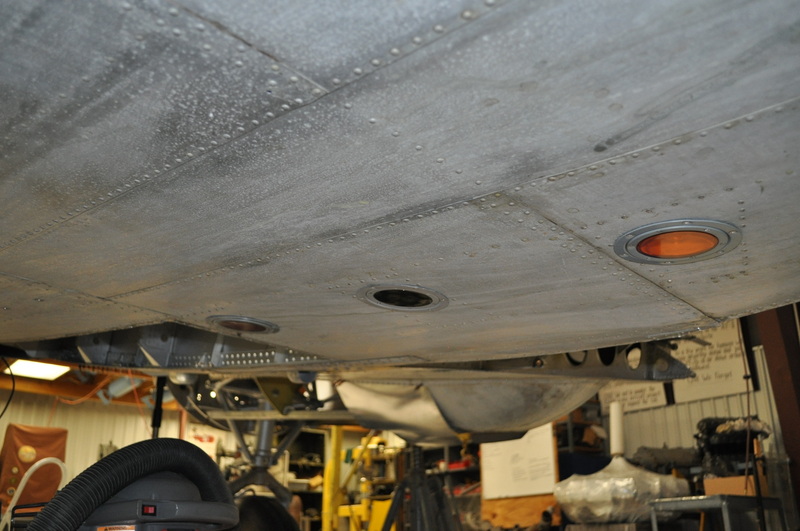 A NOS set of IFF lights were acquired and installed. 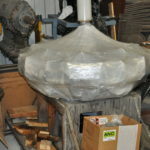 New doublers were fabricated and installed to support the lights. 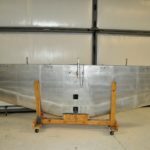 The horizontal stabilizer has been completely overhauled and inspected by the IA and is ready for installation. 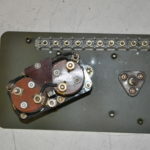 Damaged elevator hinges have been replaced with NOS units and all pulleys and bearings replaced. 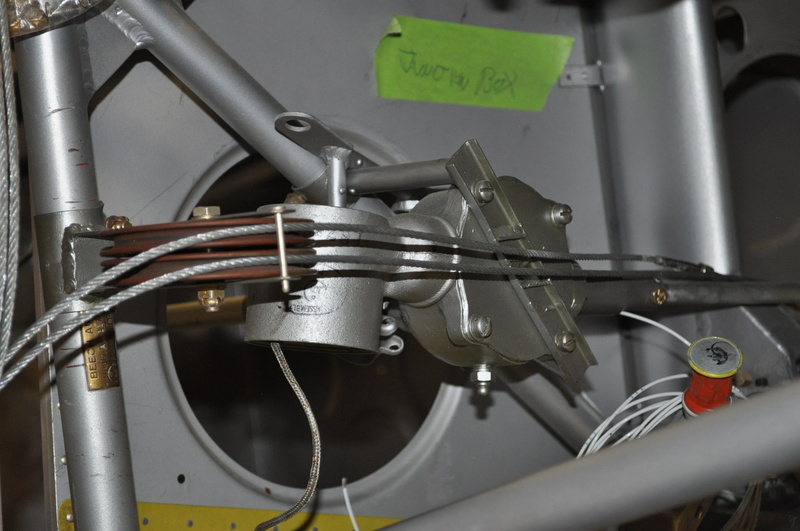 All new trim and control cables have been installed. 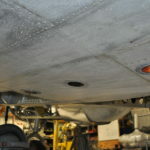 All surface corrosion has been removed. 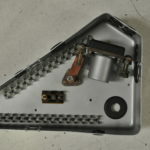 The bomb door motor mounting mechanism has been refurbished and installed along with an overhauled bomb door motor. 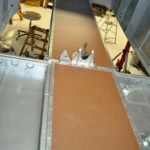 New cabin floors are being fabricated using linoleum that is identical in material and nearly identical in color to the original linoleum product. 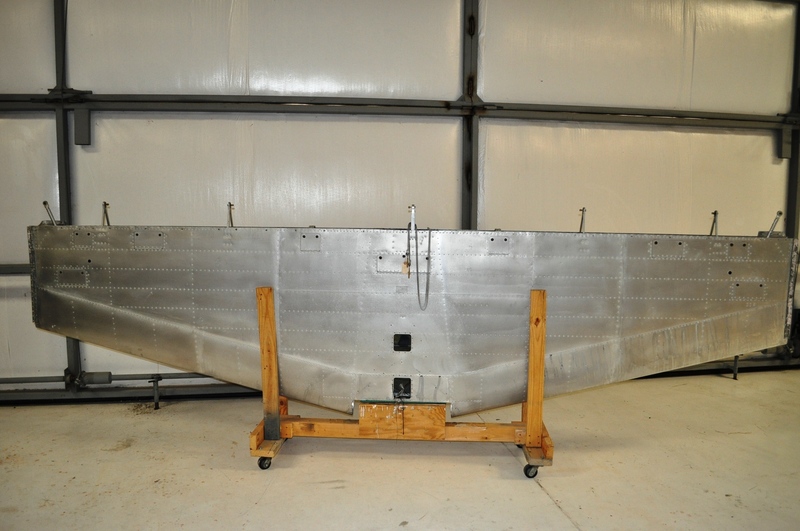 Donated hulk has provided a number of needed parts and has been a great template for center section assembly. 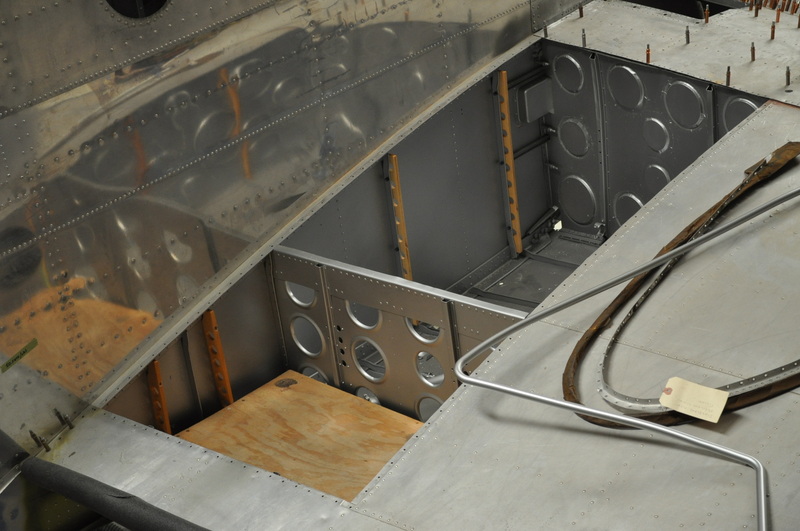 Fabric has been applied to the fuel tank bays and the bays painted and new tank retainers fabricated and installed. 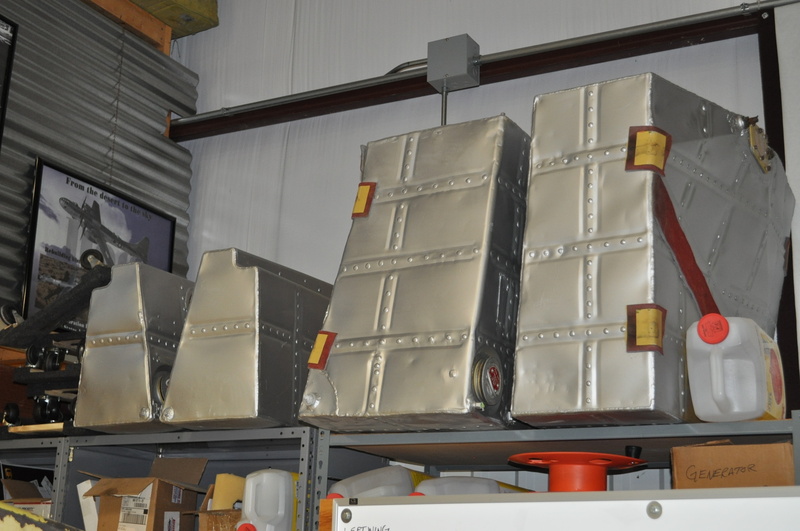 Fuel tanks are cleaned, repaired, painted and ready for installation. 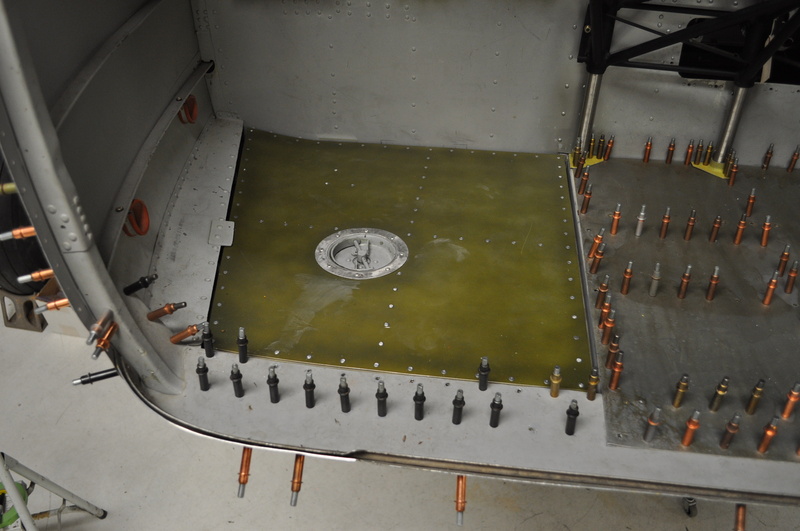 New panels have been English wheeled and fitted and are ready for final riveting after fuel systems, engine controls and wiring have been installed. 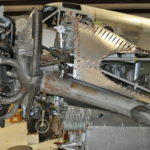 The old core engine has been hung to allow for final panel fitting around the exhaust shroud area. 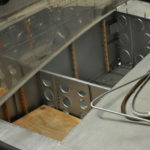 New pilot compartment floor boards have been fabricated using the same original materials and have been installed. 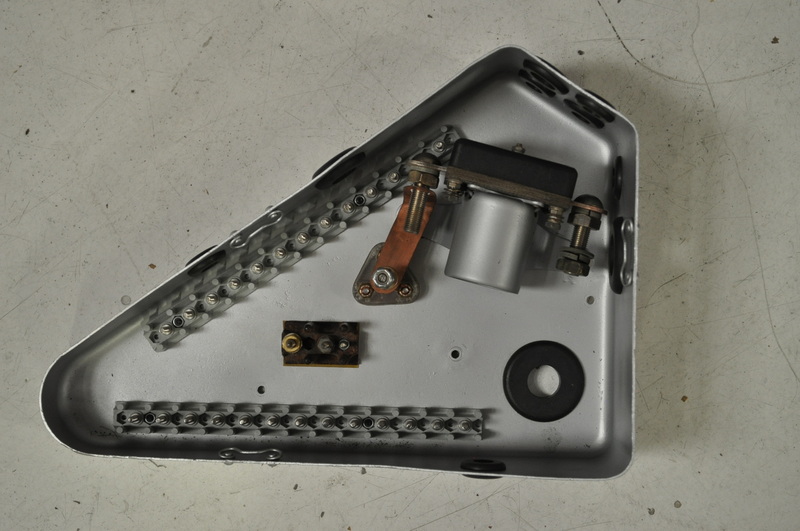 The center console has been completely overhauled with many new components. 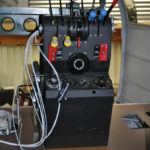 Levers and console have been powder coated and all the switches and indicators wired with new Tefzel wiring. 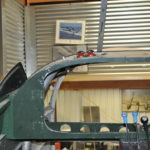 The bombardier floor was missing the Norden sight supports so new ones were fabricated per Beech drawings and installed. 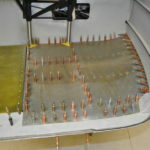 Panel is ready for final riveting. 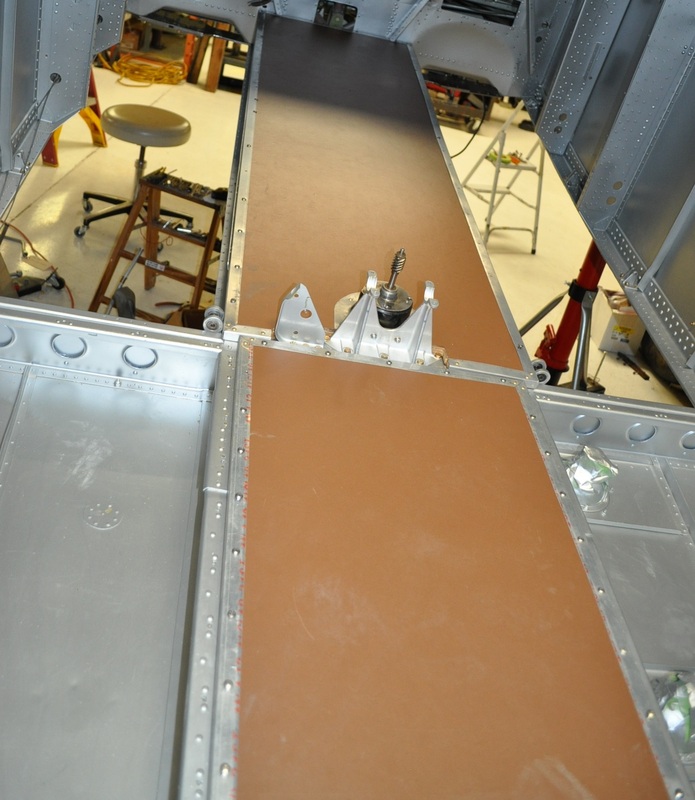 The bombardier door was disassembled, all cracks repaired and a new skin fabricated to replace the damaged original. 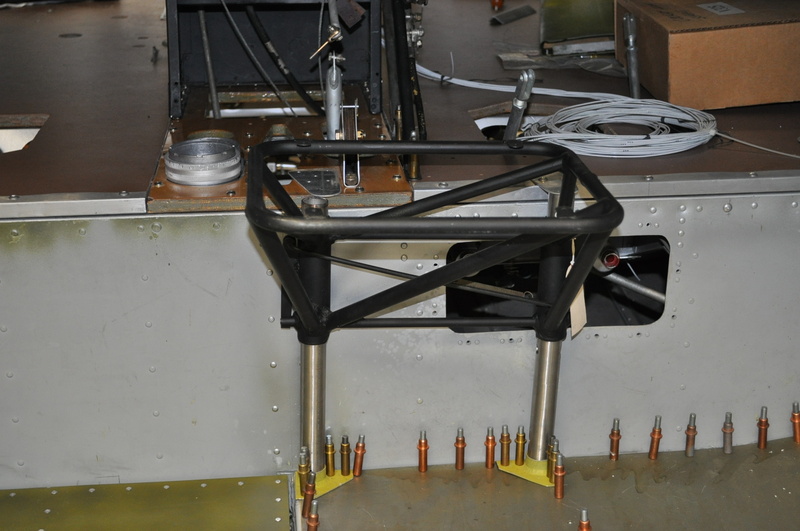 Missing mount pieces for the student seat are being fabricated at this time. 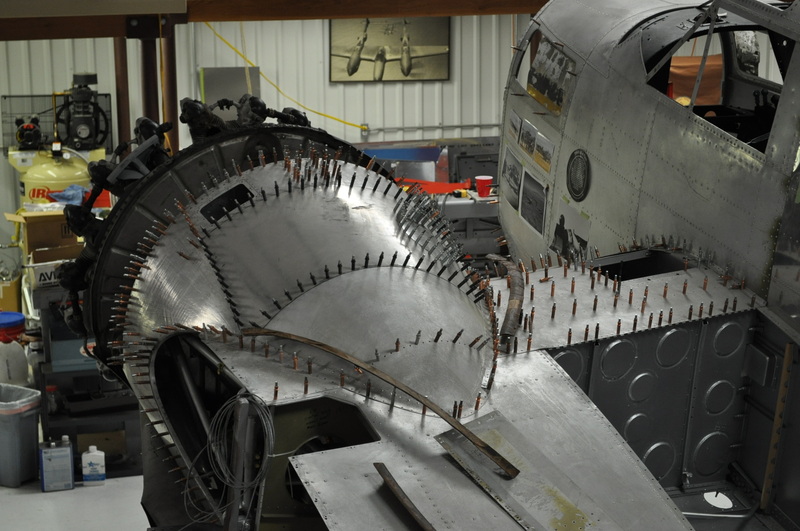 Prop feathering buttons have been acquired and installed in the later model location. 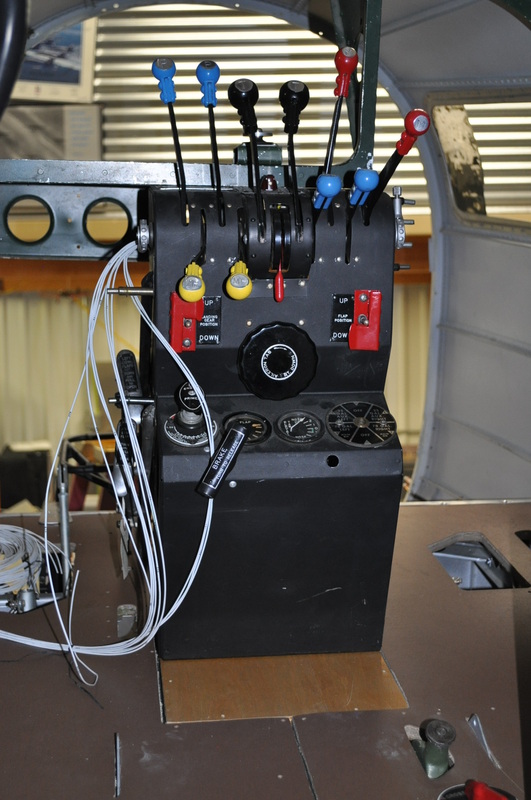 All engine and flight instruments have been overhauled or tested and approved for return to service. 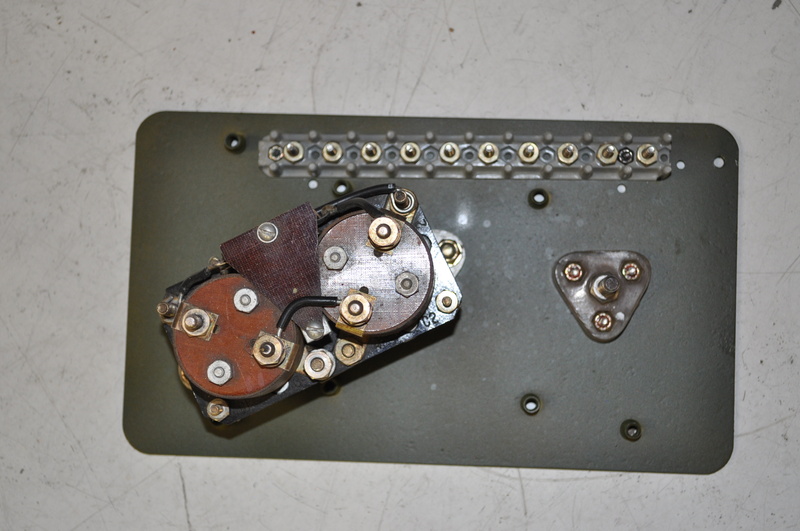 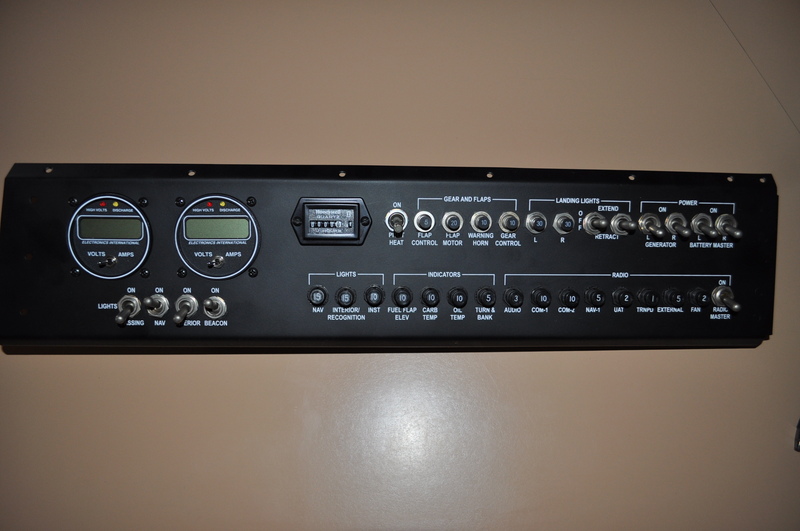 A new lower sub panel has been fabricated, upgraded to modern circuit breakers powder coated and silk screened. 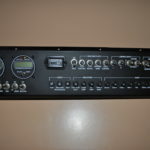 It now must be wired and made ready for installation. 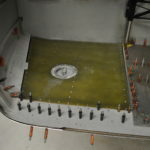 Electrical junction boxes have been removed from the hulk and are rebuilt and are ready for final wiring and installation. 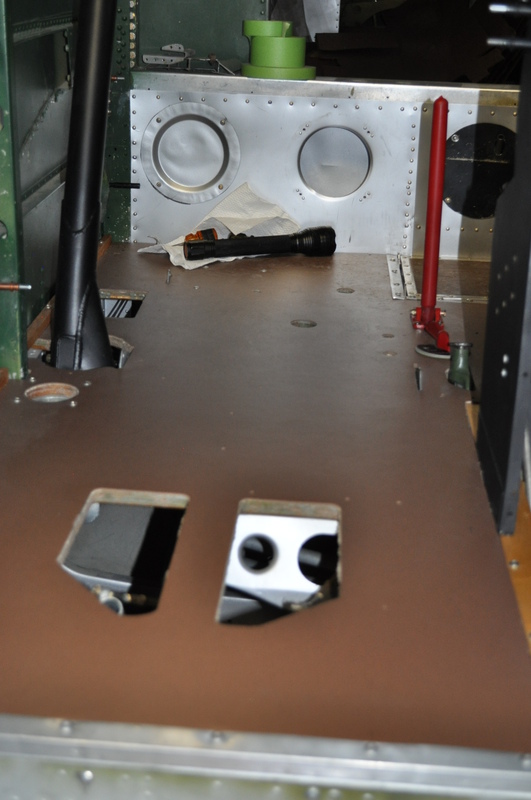 Shown are the landing gear solenoid box and the starboard nacelle junction box. 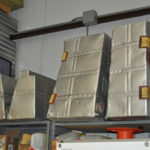 These boxes are a safety and maintenance upgrade from the early system. 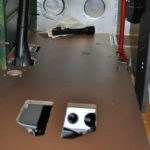 Entire flap drive system has been overhauled and installed. 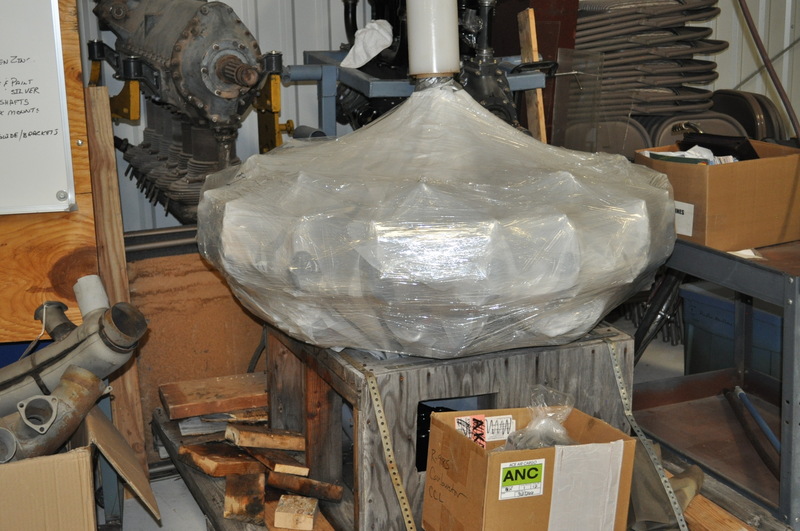 One engine has been overhauled and is ready for installation. 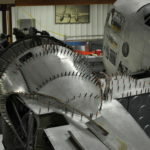 The engine was done early because Tulsa Aircraft Engine could not hold its price guarantee if we waited any longer. 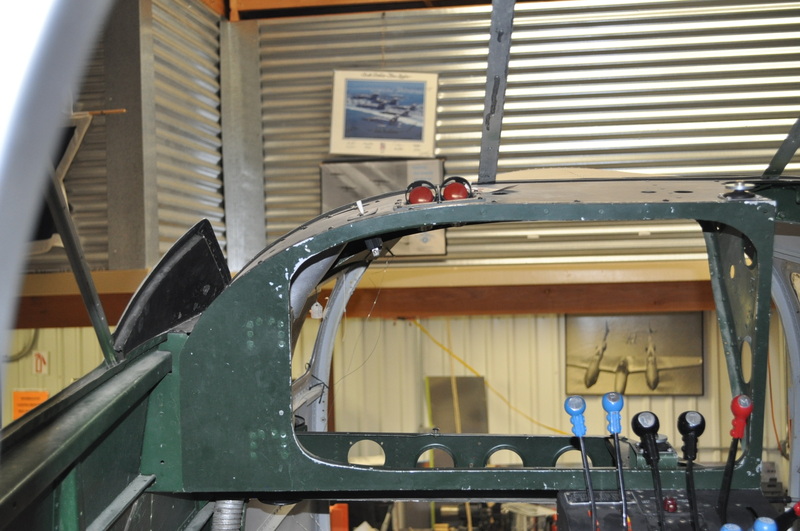 Our main challenge now is to keep the money coming ahead of the progress on the aircraft. 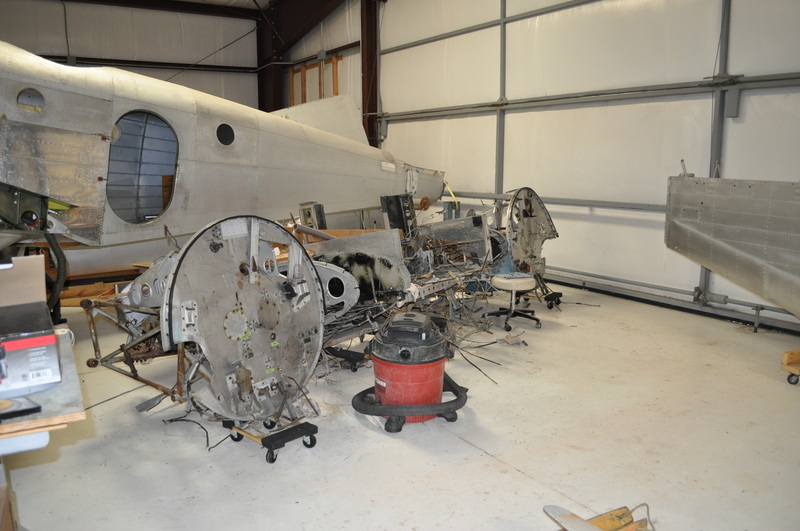 We have potentially lined up a sponsor for the remaining engine overhaul and we may have lined up a local body shop as a sponsor for the aircraft paint. 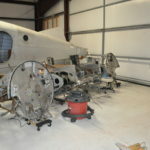 However, we still need around $20,000 for accessory overhaul and acquisition as needed. 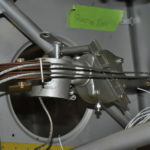 Sandia Aerospace has indicated that they will donate the components we need for the transponder and ADS-B compliance. 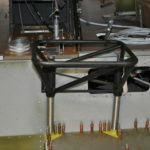 Other donations and sponsorship sales should be enough to provide all the remaining parts and materials requirements. 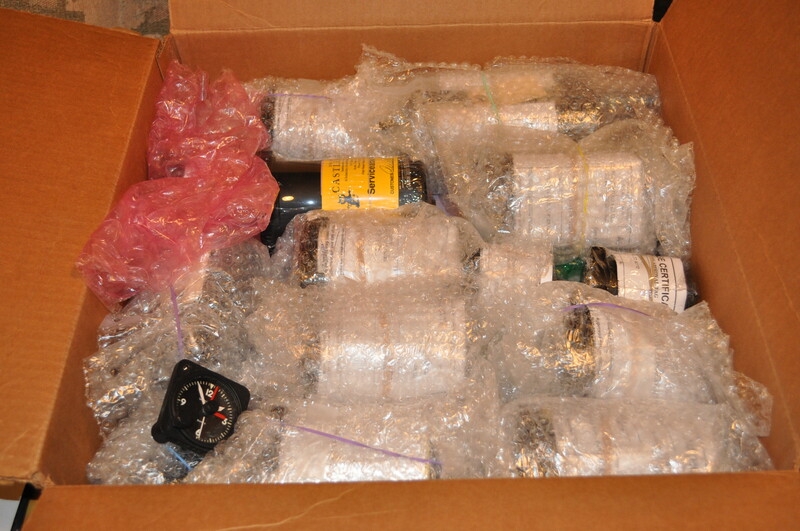 I will be seeking funding for the accessories from the matching grant fund.